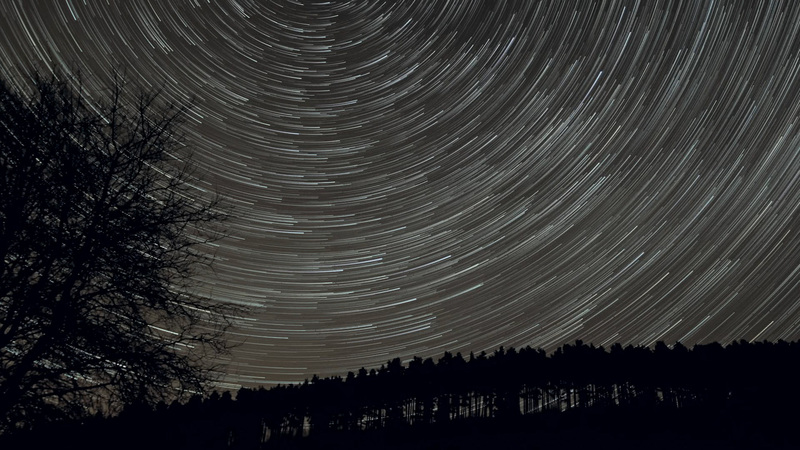 Star trails from Dalby Forest. Image credit: North Yorkshire Moors National Park. Our regular public stargazing at the Low Dalby Astronomy Centre in Dalby Forest held during the autumn and winter months. Come and see the stars, planets, nebulae and galaxies under one of the darkest skies in the country. The site of the society observatories was awarded the Milky Way Class of the UK Dark Sky Discovery Award in January 2013. Please wrap up warm and bring along a torch (preferably with a red filter to preserve yours & others night vision). Take extra care in the car park also. If the weather happens to be inclement, please don’t be put off. A member of the society will give a talk / virtual tour in the warmth of the Forestry Commission Visitor Centre. Event itself is FREE. The Forestry Commission now charge on exiting the forest – charge is reduced to £3 per vehicle for this event (code supplied at event). Suggested donation of £2 per adult and £1 per child.